The author of this piece has chosen to publish anonymously. Over ten years ago, I saw the movie Patch Adams for the very first time and was certain that I had found my professional calling. My pursuit of medicine would not only be about practicing with the flawless humour of Robin Williams’ portrayal, it would be about treating the human spirit in all of its complexity. When Williams committed suicide earlier this summer, and conversations about his battle with mental health buzzed around the net, I realized there was a viral discussion I wasn’t hearing amongst my medical colleagues. Mental health has been awash with stigma for far too long. A seemingly untouchable area of health that, in my opinion, even doctors perpetuate within the very society they treat. On more than one occasion I have heard a classmate profess their interest in psychiatry before finding themselves forced to defend their choice. I have heard the internal medicine resident tell patients that the “pain is only in their heads.” And, most alarmingly, I have heard myself say “it’s just stress.” The point of the matter is that medical professionals are not only stigmatizing our patients and colleagues―medical professionals are also forming an illusion that concerns around mental health do not personally affect us. Several years back, when I was applying to study medicine, I was overcome with delight over my first interview offer from a Canadian medical school. In the days leading up to my panel-debut, my doctor-father had me recite my answers back to him in a ‘mock interview.' Upon asking me “why medicine?”, I responded with an anecdote recounting my experience with mental illness and being diagnosed with Depression and Generalized Anxiety Disorder. Suddenly, my father looked up. He walked towards his office door and shut it tight, returning to his chair with a stoic appearance, looking at me as though he were trying to erase the memory of my illness from my head. I felt like my bones would break at once, and that I would crumble to the floor. Although I was not able to have a proper conversation about mental health with my father, Williams’ passing prompted the type of discussion one would hope to share with their physician. He inspired millions and brought a brightness to this world that may be kept alive by turning the spotlight onto mental health. I have chosen to submit this piece anonymously as a way to keep the conversation going strong. Not because I am embarrassed to reveal my name, but because disclosing it would turn the conversation from one about a pervasive social condition to one of individual etiology. Just as Williams’ battle with mental illness touched thousands of lives, my own experiences should never be isolated from the communal reality of this muted grand-scale struggle. There is no vaccine or status of immunity for such a common enemy and it is time we as medical professionals bring some equality to the issue. I am you just as you are Patient #4780. I am you just as you will be called “Ulna head fracture” in the O.R. I am you just as you are bed 23. Anonymous does not mean alone. It means anyone. 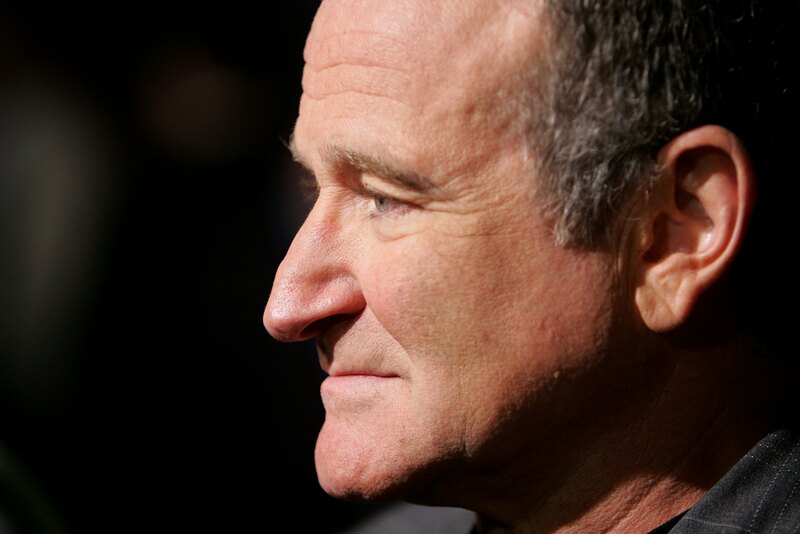 To Robin Williams, your humour was the greatest medication my depression ever received. And for that, I won’t ever be silent...Only anonymous. Posted in Student Humanities Blog on November 24, 2014 by CMAJ.